In California, particularly in Santa Barbara, the rules and regulations of homebuilding can present a tough challenge for those embarking on a major renovation or completely new construction. Fortunately, the town is home to architects and builders especially adept at overcoming the hurdles of planning and permitting. They’re here to help. Architect Tom Meaney, for example, is a proponent of building a team that can focus on the most important question: How do we provide the client with what she or he desires? For Meaney, part of the answer to that questions rests with maximizing communication from the outset. He also enjoys bringing other realms of creativity to the table. Giffin & Crane: Hi, Tom. 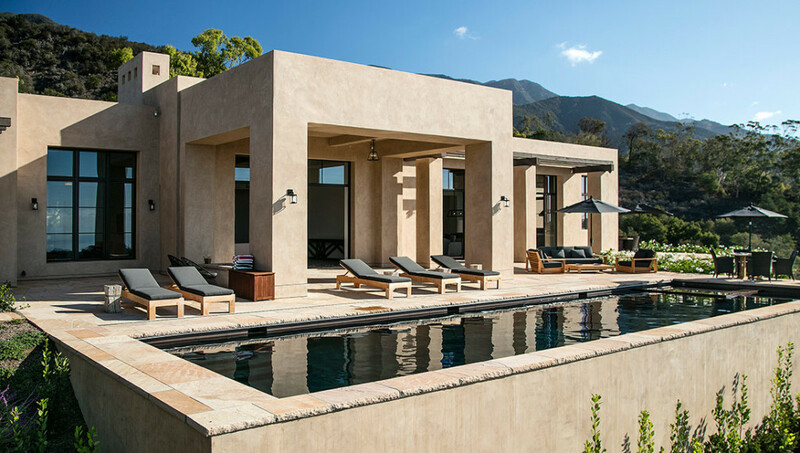 Let’s say you have a client new to Santa Barbara and new to hiring an architect. What guidance do you offer right away? Tom Meaney: We’ll meet on the property and talk about what the issues will be regarding the process of the governmental agencies, their review process, and the timeline involved. And we can bring in a builder to talk about what the cost limitations are regarding the remodel or the new construction, and the timeline that’s associated with that. We try to get a rough idea of the process, from any special designs to construction, both in time and money, from the very outset, to get additional information to see whether or not they’re comfortable with any issues before them. As you bring in a builder, what sort of characteristics would you anticipate from a successful design/build team? Tom: I’d say communication is critical. Doing your best without ego. Respecting the input and expertise from your fellow team members. As long as we all have the client’s interest as the most important element of our teamwork, then I think we all work toward a successful project together, for the benefit of the client. Okay, let’s shift gears for this last question. You’re a classically trained architect; how does that transfer to the Digital Age? Tom: Well, I think the technology definitely makes some things faster and easier. But also, for me, communicating with hand drawings is still a pretty powerful tool. You know, what I find from clients is that if they know an architect has the ability to draw, to paint [or create fine art with chalk, pictured below], and to increase the level of artistic approach, those are things that can make the project better.